I have a dilemma for my next bike. I'm planning on a van supported ride across the country in 2020. So, I do have some time to test my new ride. Someone is going to haul my gear for a change!! Looks like it'll be about 65-75 miles per day. My current bike is a 2014 Kona Sutra 56cm that works well loaded, very compliant but heavy unloaded. I've been looking at what my options are and invite experiences from the group. Where I'm located, Southern Alberta Canada, I have to travel 5+ hours to test out any bikes. Road bikes are about 2 hours away. My LSBs have a high percentage in mountain bikes and would have to order in any bike on spec. It is nearing the end of the season so the pickings are slim. One bike that stands out is the Salsa Vaya 55cm. And they have them in stock. Why it stands out is a taller Head tube. Which I prefer for my neck and shoulders. The other bike is from MEC (REI up here) called National. When I asked about Surly LHT, the response was loaded great, unloaded twitchy. Bikes like Fuji touring, or even Trek 520 have to be ordered in. I don't mind travelling to test out a bike. They're not in my backyard. Any comments and experiences that can aid me in my purchase would be appreciated. Am I looking at this right or am I missing a bike? And like most I am on a budget. Haven't won the lottery. The idea that the LHT is twitchy when unloaded is, in my opinion, ridiculous. But it’s unnecessarily heavy for supported touring. Tell us how much stuff you think you need to carry. Just a water bottle and an energy bar? Maybe a rain jacket? If so, you can use virtually any road bike on the market. Travel far enough to get to a shop with a good selection and an expert staff, ride everything in your size at least a few miles, and buy the one that was most comfortable and fun. Pay particular attention to how the saddle feels and whether the reach and posture are good for you. Look for a bike with wider tires (maybe 25 or 28), and a longer wheelbase for stability. Take it up and down some steep hills. Make sure it is stable on descent and has a wide range of gears. I like the suggestions John wrote. I wanted to add, if I were doing what you suggested, I might also add a hybrid type bike to the list of bikes you try because you said you like to ride a bit more upright. And, I would travel with a my handlebar bag. If you just get an extra hardware attachment kit then you can use the handlebar bag interchangeably on both your old touring bike and your new bike. I know you can carry your stuff in a variety of bags and locations, but for me, even if I was on a road bike I would like having my iPod, and my camera and my granola bar and my tp and wallet, my sunscreen and rain slicker close at hand in my handlebar bag. And, unless you are just a super fit cyclist ... even if you are traveling unloaded I would make sure like John said that it has a wide range of gears. No argument regarding the previous replies. Might you consider Trek Checkpoint lineup too? None of the bikes mentioned would be any improvement on your Kona Sutra. For a supported tour I'd be looking for a lightweight road bike with a wide gear range. That would be a carbon fibre bike such as the Norco Search XR or Merida Silex, both of which have the more relaxed geometry you prefer. Your Kona Sutra isn't a bad start. If you've got the new bike itch, look at the Fuji. Otherwise, you might want to look at slightly smaller (and lighter) tires that what's stock on it. Panaracer Pasela 700Cx35 would be my choice. As John noted, you'll likely want low gears; if you ride long enough, you'll hit a long day with one nasty climb at the end of that day when you're tired from climbing, headwinds, long hours in the saddle, or some combination. That's the day you'll want lower gearing than the typical 1:1 (27 gear inch) low. Since you're looking at a supported ride, you may get by with a 23-24" low, but if you can arrange 20", that would be better. Also, taller bars are typical of touring bikes, like the Sutra/LHT/520. Finally, interesting places to ride often are not the ones with the best roads. Bigger size tires, and heavier tires, soak up some of the road shock and prevent flats. (Having stood on the side of the road as the rain started waiting for a SAG after a blowout... No, I'd rather not repeat that!) I've settled in on 32 or 35 tires, although my lightest bike is limited to 28s, as my preferred size. A touring bike has the lower gearing and higher bars you won't get with a typical carbon fiber road bike. The Fuji feels lighter than the LHT and 520. (I've never ridden a Sutra, and I've only seen one in person, which is fairly normal for most touring bikes.) But bike weight isn't the end-all and be-all that some say it is; add a way to carry sunscreen, emergency rations, rain shell, spare tube, patch kit, pump, and enough water to get you to the next SAG stop, and your featherweight bike is heavier than the naked tourer. Also, remember what does count is total wheel weight: add luggage weight and your weight to the bike weight, and what's the percent difference? Finally, you'll have frame clearance for wider tires with a touring bike than the CF wonder bike. Now if you've got the money (and time), you can get a custom bike that's a relaxed or sport touring frame, and "old mountain" gearing with a triple and really low gears. That'll take perhaps 5 pounds off your frame, and $3-4,000 out of your wallet. Gear down and spin the extra weight up the hill might be the better recommendation. Oh, did we forget to suggest the Barcroft Dakota, Tour Easy or Rans V-Rex? Ooops, forgot, off the radar. I think it comes down to what do you really want to change over what you have, and what do you need for the ride you are going to do. You have a touring bike, and given your mileage target you sound like you want a zippy fast bike. You may want relaxed fit and the ability to carry snacks and apparel, features not normally found in a zippy fast bike. The Vaya is nice, but it has wider tires that may slow you down. Maybe a cyclocross bike? 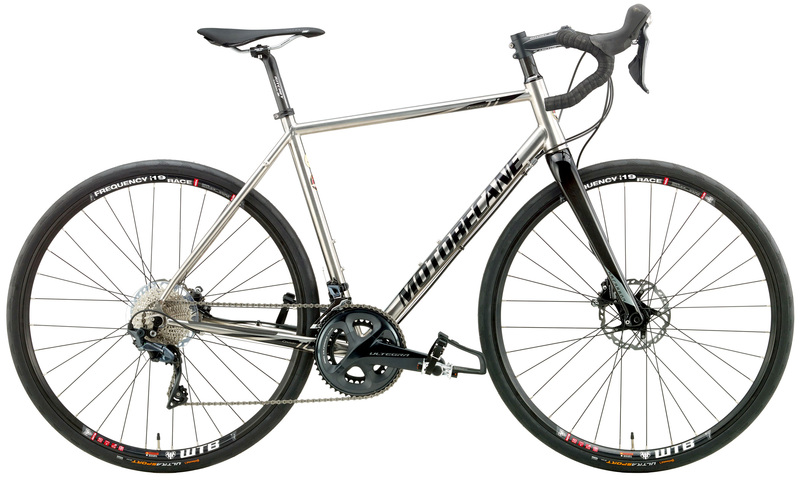 I'd get a Motobecane Century Pro Ti Disc. I'd fit smaller chainwheels, some of those super low rolling resistance 40mm wide Schwalbe Almotion tubeless tires and my favorite pedals and saddle. Is there a recumbent you'd suggest that's 1) suitable [tires and gears] for a cross country ride 2) actually still in production and 3) in the price range of a Kona Sutra or Trek 520? Bacchetta Giro 20, Cruzbike T50, Lightning Phantom II, Sun EX Sport AX?? I'd be happy to recommend a bike if I was current on the market. As I am not, I can only offer suggestions on your search process. I'd spend some time on BentRiderOnline, maybe post a message on the Touring section http://www.bentrideronline.com/messageboard/forumdisplay.php?f=20 asking for recommendations. Also check my article, Recumbent Pros and Cons, https://www.crazyguyonabike.com/doc/?o=1mr&doc_id=6231&v=38. The short list of hints is, make sure the bike has adequate gearing, handles well at low and high speeds, and has adequate carrying capacity for your intended load. Same list of qualities you'd use for any type of bike. Sorry if I came across kinda snarky. It just seems like people dismiss recumbents out of hand, when touring is one of the things that many of them do best. Troll stock is a really good bike and good components and groupset. Don't need to do much to it to have a great bike! Can also buy frameset alone and build from there. 3x chainring setup. BC can "only" be bought as a complete build. Groupset and components are marginal. Also a 2x chainring setup. BC is Surely's newest bike and just released in the last year. One of those two bikes will be my next bike, probably the Bridge Club because of it's versatility on wheel set sizes. The older trolls are good to if you can find one, especially the World traveler with the couplings to break the bike in half for traveling. But the newest release troll which I "think" was 2017 and up has more braze-ons for attachments, and I "think" a wider fork for 3" tires. The newest release troll is nonsupsension corrected. Hope that helps you. I have been researching the heck out of bikes for a while and originally was going to go with a Disk Trucker with MTB setup handlebars and the like, but I decided that I wanted the little bit extra for off the beaten path when I want to do more of that, and something I can still enjoy when nothing on it as a commuter. The Apocalypse bike. Does everything! Both those frames are close to the Disk Trucker with some variations in the geometry. I am looking at a Diamondback Haanjo 7C for similar reasons, light/supported touring. I already own a Surley LHT for heavy loaded mostly overseas touring. I'm planning on doing the ACA Eastern Express route next year with a bike that will be faster on pavement than the Surley LHT but will still comfortably handle the Allegheny and Katy rail trail sections. Also want the bike to be able to carry front and rear panniers just in case I get separated from the tour group (or they vote me off the island), so I can finish solo. I am a very lightweight rider <100LBS. Any thoughts,suggestions?